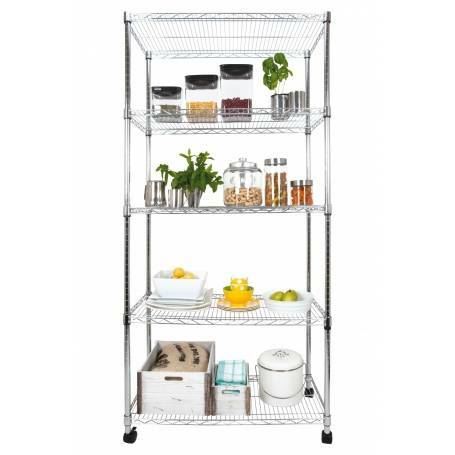 This five tier top quality bright chrome shelf unit with lockable wheels is an ideal storage solution for the kitchen, pantry or commercial premises. With its open wire construction it allows air flow and reduces dust collection. Shelves are load rated to 150kg and can be height adjusted at 25mm increments.